Police in Wapakoneta, Ohio, say they found the model of the 1969 Lunar Excursion Module missing from the Armstrong Air & Space Museum after they responded to an alarm that went off at the museum late Friday night. The gold replica, given to famed astronaut Neil Armstrong, is one of only three made — one for each astronaut aboard Apollo 11. Police said in a statement that "the value of such an item cannot be determined." "The truth is that you can't steal from a museum. Museum's don't 'own' artifacts. We are simply vessels of the public trust. Museums care for and exhibit items on behalf of you, the public. Theft from a museum is a theft from all of us. Three hundred people driving from across the country were robbed of their opportunity to experience the museum today. For every day that an item is missing, we are all robbed of an opportunity to enjoy it and our history." 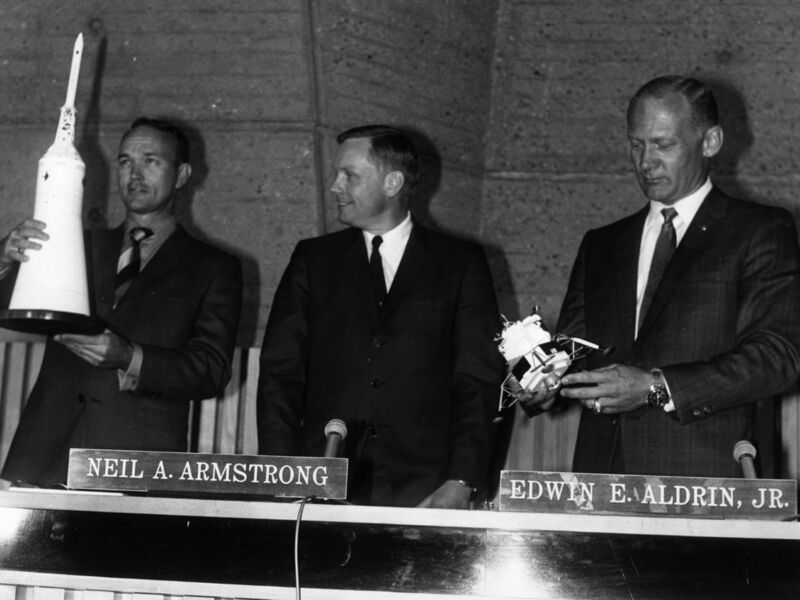 Readers of French newspaper Le Figaro gave the 18-karat gold models to Apollo 11 astronauts Neil Armstrong, Buzz Aldrin and Michael Collins during a visit to Paris in October 1969, according to the website collectSPACE. Le Figaro commissioned French jewelry-maker Cartier to design and make the models; the newspaper asked its readers "to contribute to the cost — 10 francs, 20 francs, whatever they could afford — with two of [the readers] making the presentation," Cartier archivist Violette Petit told Barron's in 2015. Inside each model was a microfilm with the names of readers who contributed. The jeweler bought back Collins' model in a 2003 auction for $56,000, according to the magazine. 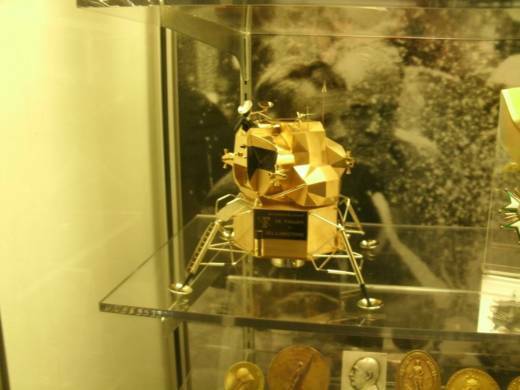 The lunar module model is only 5 inches tall and 4.5 inches wide, Wapakoneta police say. They say they are investigating with help from the Ohio Bureau of Criminal Investigation and the FBI. Wapakoneta is Armstrong's hometown. The Armstrong Air & Space Museum opened there in 1972, exactly three years after Armstrong became the first person to walk on the moon. Today, you can see "one-of-a-kind artifacts including the Gemini VIII spacecraft, Neil Armstrong's Gemini and Apollo spacesuits, and an Apollo 11 moon rock" at the museum, in addition to two aircraft Armstrong flew.